Grande zone avec beaucoup d'espace en août stantionnement à distance de marche du lac et des télésièges. Toilettes gratuites à proximité. Pas d'eau sans douches mais super calme et super vue. 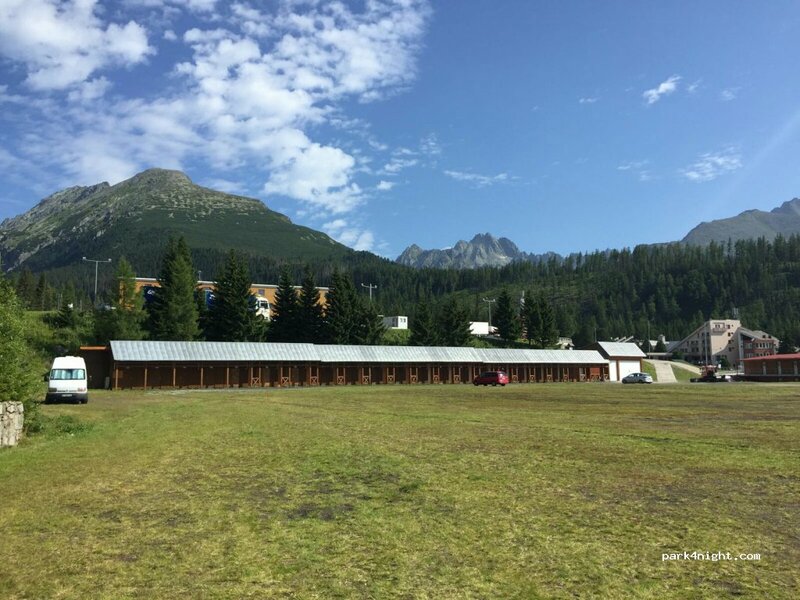 Great area with plenty of space in august flat within walking distance of the lake and the chair lifts. Free toilets nearby. No water no showers but super quiet and great view. We came at 6pm, at 8am next day a policeman came, short explanation, no fee. Große Fläche mit viel Platz. nur wenige Gehminuten von See und Sesselliften. Kostenlose Toiletten in der Nähe. Kein Wasser ohne Duschen, aber super ruhig und tolle Aussicht. We originally drove to the parking place on the right. You have to pay 10€ over 4 hours. We then moved, I have attached photo, GPS 49.126218,20.059994 Immediately before the barriers to the car parking take the little road on the left, there is a sign with parking fees on it, but no attendant or machine to pay. Very quiet night, views of mountains. Impossible de se garer....Il y a des barrières avec des prix élevés .. . The area photographed isn't exactly where we stayed. 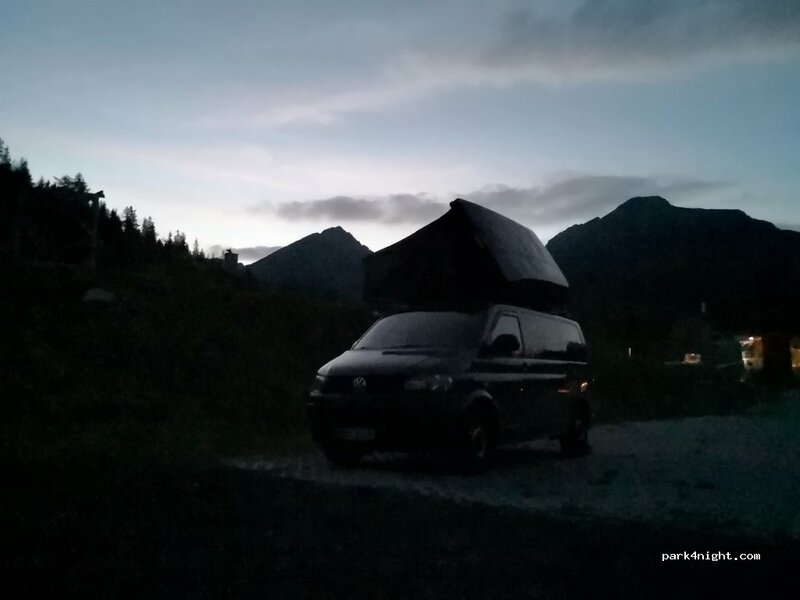 We stayed in the parking lot near "Hotel Fis" near the ski resort. We stayed for 3 nights and it was great in April. Bathrooms open and accessible during the day, lots of free wifi areas nearby the parking, and quiet at night. It was an hour hike to the lake Popradske Pleso and then another 30 min hike to the base of the climbing at Galeria Ostrwa. Ampli espai. Aparcament agost sense vigilància. Passem nit 3 Autocaravanes i una càmper. Good place on parking! 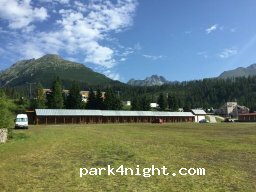 Very spacious in low season, hotel and restaurant nearby. Handy! Very perfect place for overnight during road trip! 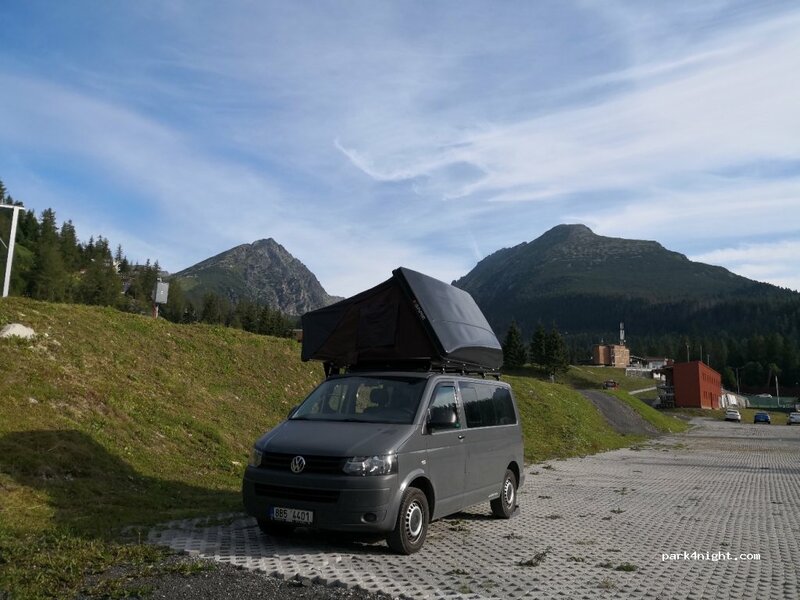 Small place next to the road with a beautiful views on Poprad and Low Tatras. Water tap at service station. Tap is behind petrol station and cafe area. Parking on an old closed street or next to it. View of the mountains. River nearby.